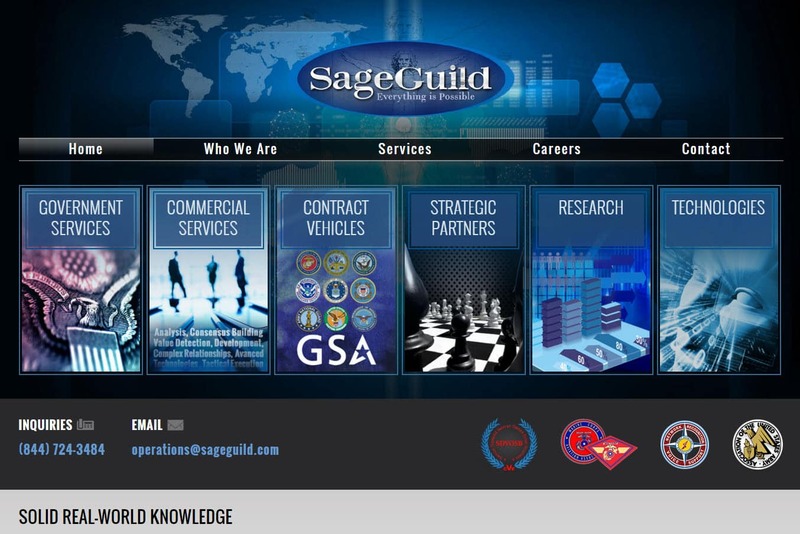 Website Design Stafford VA | Sage Guild is a premier government consultancy company based in Virginia. Their president Sage Guild hired VISIONEFX to build a bold, creative, one of a kind design, wow factor website that reflected the breadth and scope of their company services and expertise. VISIONEFX has an extensive portfolio of website design GSA consultants, GSA contract holders websites. VISIONEFX develops and designs websites for business and provides web design in Virginia and the USA. Search Website Design Stafford, VA and find the design professionals at VISIONEFX. VISIONEFX provides services to national companies as well as small to medium businesses throughout the United States to include; custom web design, web development, E-commerce web design and product database programming, Word Press web design, Word Press Plugin customization, Joomla web development, SEO – search engine optimization and web maintenance services. Call VISONEFX at (757) 619-6456 or email direct to info@visionefx.net.